The word for “love” appears throughout Arabic literature in many forms. Arabic views love as a complex spectrum, containing several various stages. These stages begin with inclination and infatuation, and in the final stages, end with losing one’s mind. While some of these words imply tenderness, others denote a love sometimes so strong it hurts. 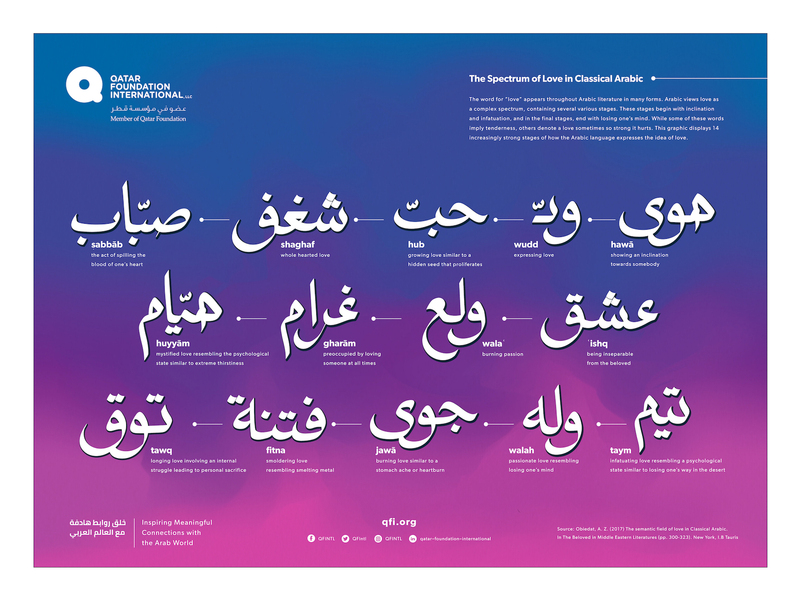 This graphic displays 14 increasingly strong stages of how the Arabic language expresses the idea of love.